We offer free buffet breakfast for all of our guests. 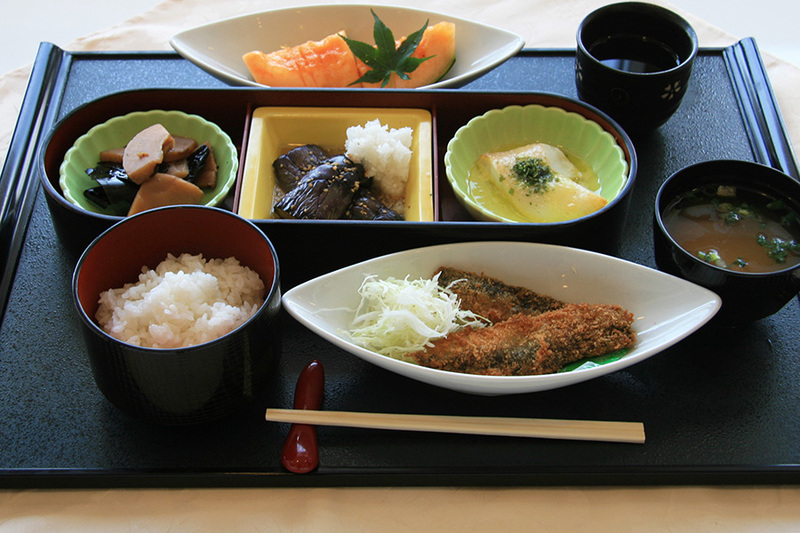 Pickled tuna is served at breakfast. 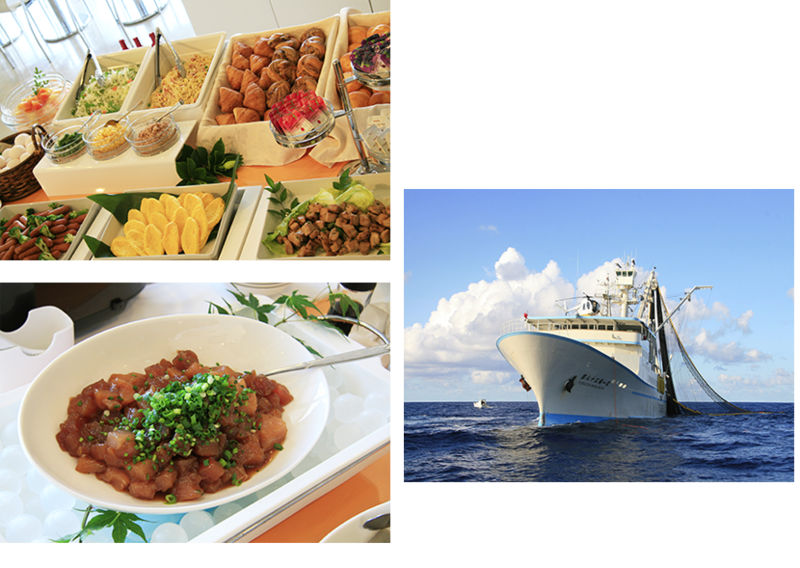 It is cooked by fresh tuna purchased directly from the parent company Fukuichi Fishery Co., Ltd.
We prepare freshly baked bread and Japanese and Western daily menu etc. 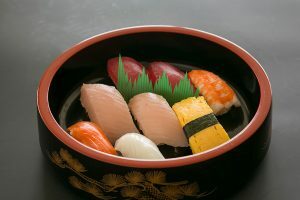 You can taste fresh sushi directly from the fishery corporation. 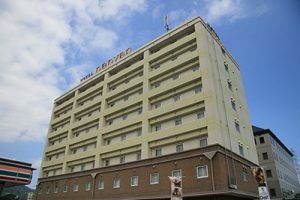 The parent company of the hotel is Fukuichi Fishery Co., Ltd, owns fishing-ships catching tuna and bonito. 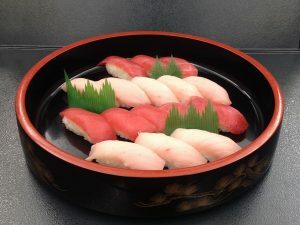 We serve sushi purchased directly from the fishery corporation in dinner. 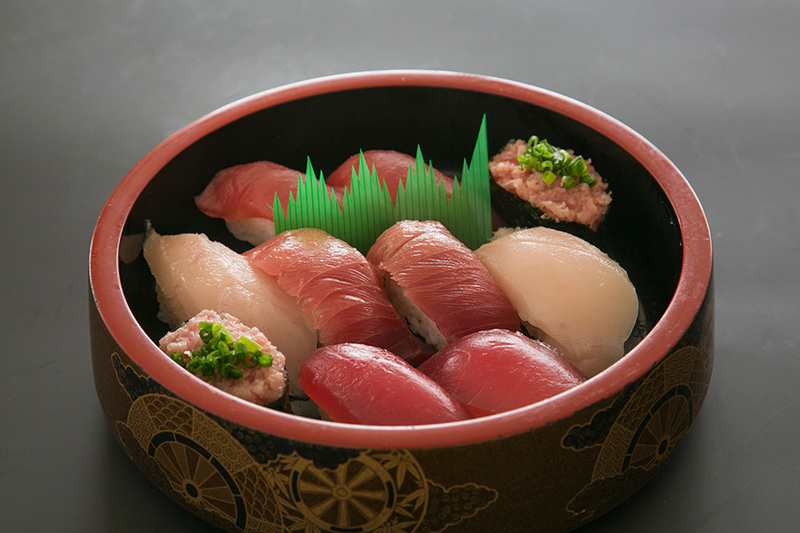 Taste, freshness, reasonable price is because of direct shipment from the fishery corporation! Please request it us when you stay. * Reservation is required until 10 o’clock on the morning. Please make a reservation as soon as possible. 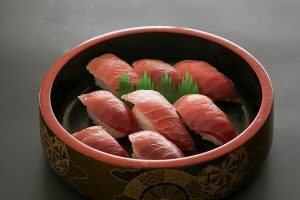 The plate, on which Southern bluefin tuna(middle Toro), Bigeye tuna, Albacore Tuna, Yellowfin Tuna, and minced Tuna & Green onion, is a luxurious dish that you can taste five kinds of handsets of sushi. 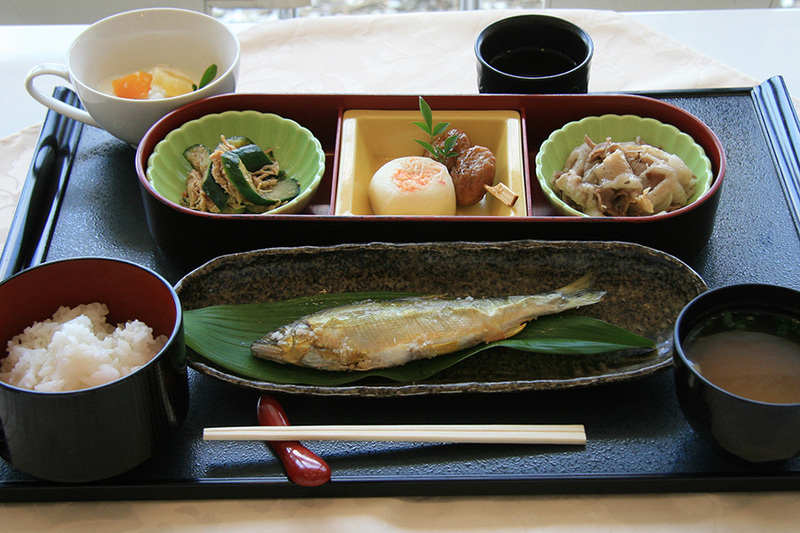 Daily set meal with full volume is prepared. Daily arranged plates (left menu). * Dinner time will be from 18: 15 to 21: 00.